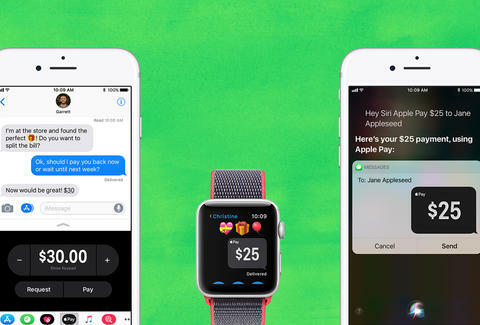 Apple Just Unleashed Its Venmo Killer. Here's How to Use It. 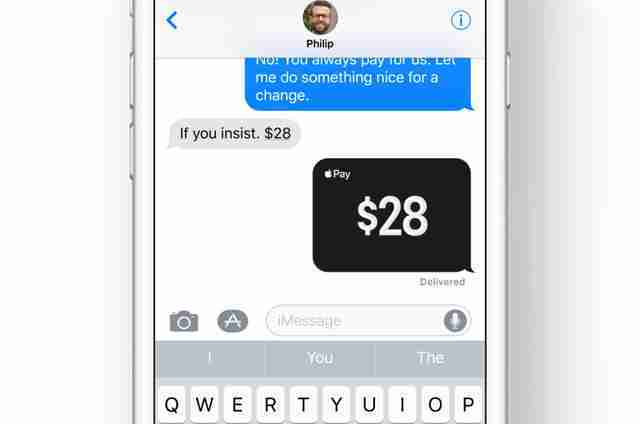 One of the biggest new features Apple highlighted when it first teased iOS 11 earlier this year was something called Apple Pay Cash, a proprietary Venmo-esque payment platform that would allow you to send money to people via iMessage. However, Apple Pay Cash was nowhere to be found when iOS 11 finally launched in September. Fortunately, the company is finally ready to unleash it upon the world with the rollout of iOS 11.2, which is hitting peoples' iPhones and iPads this week. But before you decide to ditch Venmo, here's a quick primer on how to set up Apple Pay Cash on your device and how to use it. In order to use the new feature, you'll first need to upgrade to iOS 11.2. To do this, launch the Settings app > General > Software Update to download and install. The update is gradually rolling out to users this week, so if it doesn't appear available to you quite yet, check back again a couple hours later or even the next day. Once you're running 11.2, launch the Settings app again and select Wallet & Apple Pay. Turn on Apple Pay Cash, and tap Apple Pay Cash under Cards. This will walk you through a series of prompts to verify your identity and allow you to tether your account to your real-life bank account. Your Apple Pay Cash card will function essentially like a digital bank account where you can "bank" received funds, use them to pay others, and "cash out," much like how you would using Venmo. Note: you may receive an error message in the midst of setup saying "Apple Pay services are currently unavailable." This is likely due to the fact that Apple is very slowly rolling out the new service. iOS 11.2 was reportedly not initially meant to release this soon -- it was allegedly pushed out early and urgently this past weekend to patch a serious glitch affecting iPhones and iPads, and Apple is waiting for a few more days to switch on the service for all users. To send or request money, tap the iMessage app like you would to text the contact in question and select the Apple Pay icon from the app drawer at the bottom. This will populate the text screen with a keypad and a "Send" and "Request" button to alert your debtor/payee that you just paid them or that they are on the hook for a certain sum. Incoming transactions are automatically accepted and instantly available on your APC card (which you can use to make actual purchases online or deposit into your real-life bank account). If your hands are full, you can also just ask Siri to send a payment to one of your trusted contacts, and she'll make it happen. Unfortunately for Android users, this is an iOS-exclusive feature. And even if you have APC set up on your iPhone and want to send your fellow iPhone-owning friend some cash for covering the bar tab last night, they must have APC set up as well (you'll get a notice if they don't before you're allowed to send or request any funds). So, until Apple Pay Cash really catches on, you'd be wise to keep Venmo around.